As sea ice disappears and open water seasons last longer, the High North – that vast area above the Arctic circle – has become the oil industry’s new frontier, offering potentially billions of barrels of oil from deep offshore wells in return for the huge technical, safety and financial risks. But conservationists increasingly argue it is only a matter of time before a catastrophic spill devastates some of the least polluted waters in the world. So far, the industry has mostly worked onshore or in shallow, easily accessible waters off Alaska. The worst spill was the Exxon Valdez tanker, which sank in 1989, with the effects still felt today. But the major oil companies are all now preparing to move into areas where a spill would not just be almost impossible to clean up, but could take years to even control. According to Greepeace, a blowout of the kind that BP experienced in the Gulf of Mexico last year would be even more devastating off Greenland, where whales, polar bear, seals and fish live in abundance. A relief well might not be completed in the same drilling season, leading to oil gushing out unchecked for up to two years. Oil would probably become trapped under the ice, making it impossible to remove. No oil company is remotely prepared for a major spill in the Arctic, says WWF. “Oil spills can be devastating to Arctic marine environments given the current lack of oil spill response capabilities. Two decades after the Exxon Valdez oil spill devastated a vast stretch of the Alaskan coast, governments and industry in the Arctic would still be unable to effectively manage a large oil spill. 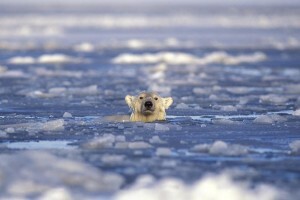 The Arctic remains ill-prepared should another spill occur,” it said in a report last year. Many of the problems are logistical. Apart from having only a few months to do any cleaning or remedial work, airstrips are remote, fog and snowstorms can ground workers for weeks at a time and it would be impossible to bring many boats for a clean-up for any time to the Arctic. Few companies have the resources to clean up a major spill anywhere, least of all in the remote, hostile Arctic environment. In a joint comment piece in the journal Nature, last week, former US government scientist Jeffrey Short and Oceana conservationist Susan Murray said: “A large spill in the Arctic could not be contained or mitigated, and we should stop pretending otherwise. Sea ice can envelop oil and transport it considerable distances. A blowout during autumn would spill among growing ice floes, spreading contamination further than it could be tracked and concentrating oil in the ice holes through which marine mammals breathe.